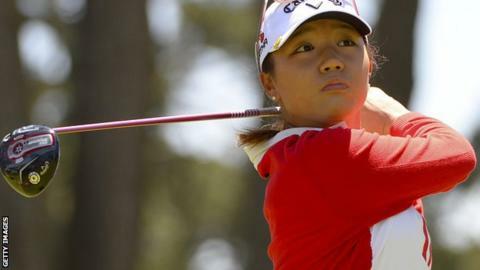 Women's world number one golfer Lydia Ko will donate prize money she earns this week to a Nepal earthquake disaster relief fund. More than 5,000 people died and at least 10,000 were injured in the earthquake that hit Kathmandu and its surrounding areas on Saturday. Ko, 18, remembers the effects of a 2011 earthquake in her native New Zealand. "Natural disasters you can't do much about. I thought, 'Those people there, nice people, very innocent'," said Ko. "So I wanted to give this tournament's earnings." Ko, who - aged 17 - became golf's youngest world number one, is playing in the LPGA's North Texas Shootout. Should she repeat her success in last week's Swinging Skirts LPGA Classic, Ko would win $195,000 (£126,000). Referring to the 2011 earthquake in Christchurch, she said: "It affected a lot of people. "We call Christchurch the Garden City. It still has the name but there is still evidence of what happened there."